Cotton trading range for the day is 19737-20397. Cotton prices dropped due to subdued demand from traders and stocksists at the spot market. Besides, cotton production will increase from 338 lakh bales in 2015-16 to 351 lakh bales this year owing to above normal rains. The production of cotton is expected to touch around 345 lakh bales during 2016-17 as compared to around 338 lakh bales. 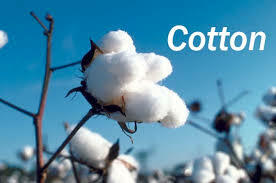 Cotton prices in spot market dropped by 130.00 rupees and settled at 20020 rupees.